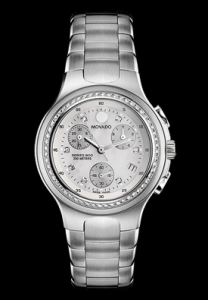 The Movado Sport Series 800 Women's Watch is perfect for any woman and her style! Movado watches don’t need much of an introduction. The elegant style of this individual Movado is sure to win you over at first glance. Once you take it past the impeccable craftsmanship, the flawless design and mechanics will have you completely head over heels. The scratch-resistant sapphire crystal will help to ensure this to be a long and everlasting addition to your collection. Without a doubt this is one of Movado’s top women’s watch. 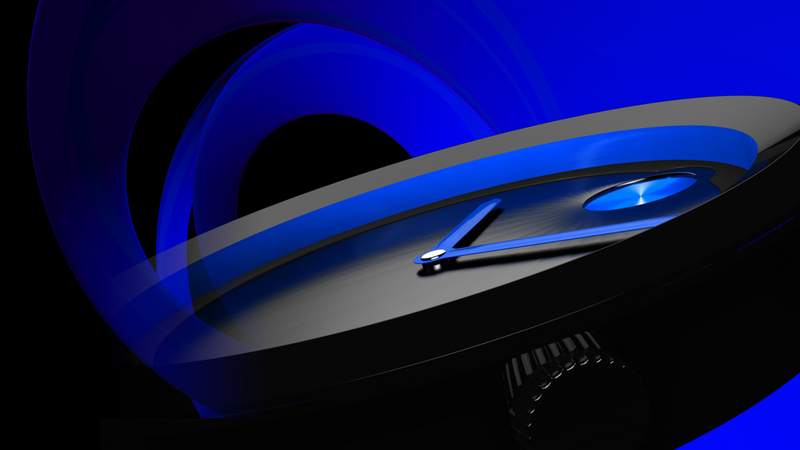 The look is quite a bit different from the traditional Movado appearance. Unlike the quintessential Movado design that contains a sleek and simple museum dial and small signature dot marking the 12 o’clock hour, the 2600052: Movado’s Series 800 Sport Women’s Watch holds much more design. Circling the large face of the watch is a diamond set bezel that compliments the seven diamond studs placed along the inside of the time markers perfectly. There are also three additional sub-dials placed in-between the diamond studs to help keep your day organized (1/10th second register, 30 minute register, 60 second central register). Of course Movado did include their signature 12 o’clock indicator dot and frequently used white mother-of-pearl dial, all while adding a date display at the 4 o‘clock hour. The hour markers are perfectly sized diamonds, accentuated by it’s silver toned luminescent hand indicators, bringing the total diamond count to 63 and giving it a TCW of 1 carat. The performance and durability of this timepiece is also something worth noting. The case is made of polished and brushed stainless steel and 35mm in width x 42mm in length and is 12mm thick. Most watches seem to stick to the water resistance of 100 feet/30 meters, but not this one. The 2600052: Movado’s Series 800 Sport Women’s Watch has an amazing resistance of 660 feet or 200 meters. This Swiss quartz chronograph movement has a link bracelet band with a secure deployment clasp and is 19mm in width. You can find the 2600052: Movado’s Series 800 Sport Women’s Watch online at Movado‘s official site, at various Movado boutiques or throughout many retailers in the US, Canada and internationally, at an MSRP of $3,5000.